VANCOUVER, May 8/2012 -- They carried us, held us when we were frightened, comforted us when we cried, and made us laugh along with them. Mothers. Where in the world would we all be without them? "As a four year old boy growing up in Leaside, I watched as my mother cared for an orphaned baby bird: "Mom," I said, you're amazing." She looked at me with those gentle blue eyes, and replied: "Michael, I'm nobody special. Anyone could do this. Everyone should do this." "Fifty four years later after a lifetime of helping animals, my mother's words still ring true today," says Michael O'Sullivan, Chairman & CEO of The Humane Society of Canada (HSC). "Each and every day, there are thousands of dedicated men and women on the front lines of animal protection, putting themselves in harm's way bringing environmental outlaws to justice. 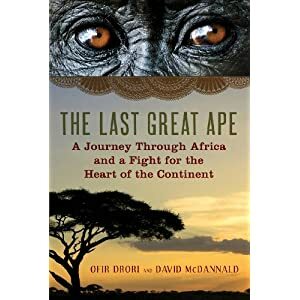 People like Ofir", says Michael O'Sullivan, The Humane Society of Canada's Chairman & CEO, who like Ofir has led dangerous undercover missions to save animals and their vanishing jungle homes. "If you believe as I do that one person against all odds can make a difference, then you will be uplifted and inspired by this book." February 14, 2012, VANCOUVER – If you are looking for a unique Valentine’s Day gift for that special person or furred, feathered or finned someone in your life, you might consider doing your shopping at The Humane Society of Canada’s (HSC’s) Online Adventure Store. Not only will you be surprising the recipient with a thoughtful present, but your gift will be helping animals and the environment as well!